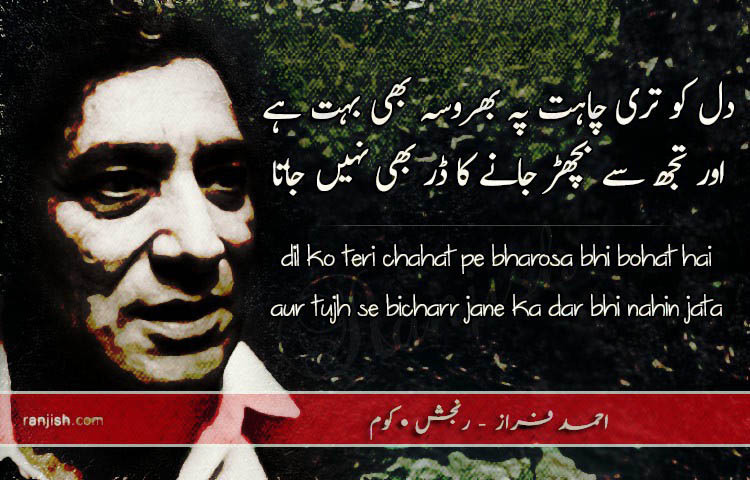 Ranjish.com has lots of Urdu Ahmad Faraz Poetry. Feel free to add your own Ahmad Faraz Shayari here. 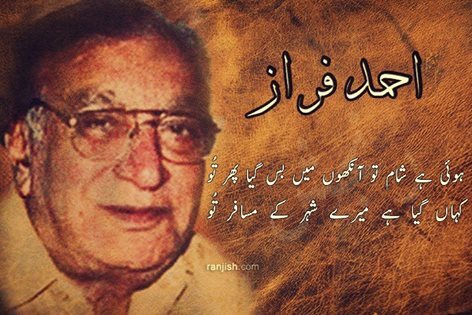 Ahmad Faraz is one of the best poets Pakistan has ever seen. 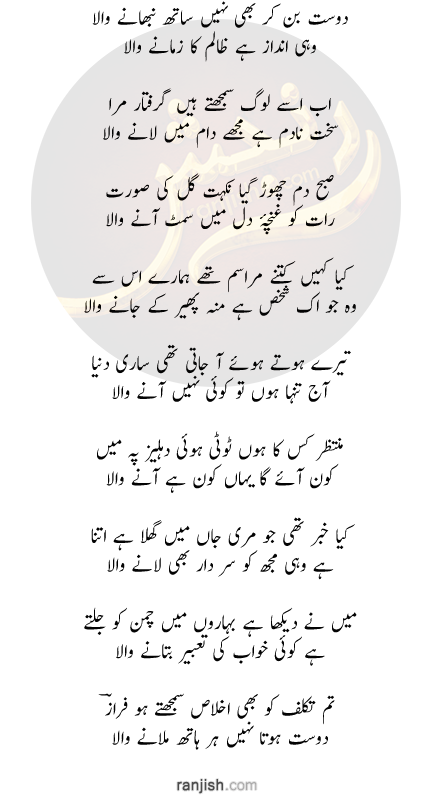 We bring you all the Ahmad Faraz poetry he has written, here at Ranjish.com. Lots of Ahmad Faraz poetry and Ahmad Faraz shayari is available here for you to read and enjoy. So keep coming up as we keep adding more and more poetry of ahmad faraz. His real name was Syed Ahmed Shah but he chose to use “Faraz” as his pen name. 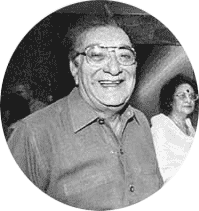 Faraz was awarded several awards like Hilal-e-Imtiaz, Sitara-i-Imtiaz and Hilal-e-Pakistan. 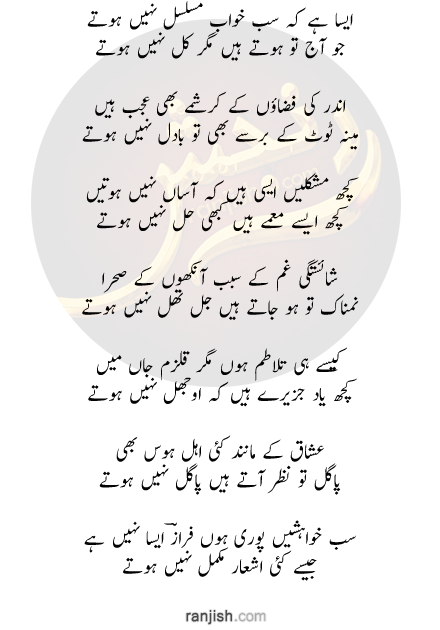 If you are looking for Ahmed Faraz Poetry then Ranjish.com is the ultimate place for your literary cravings. 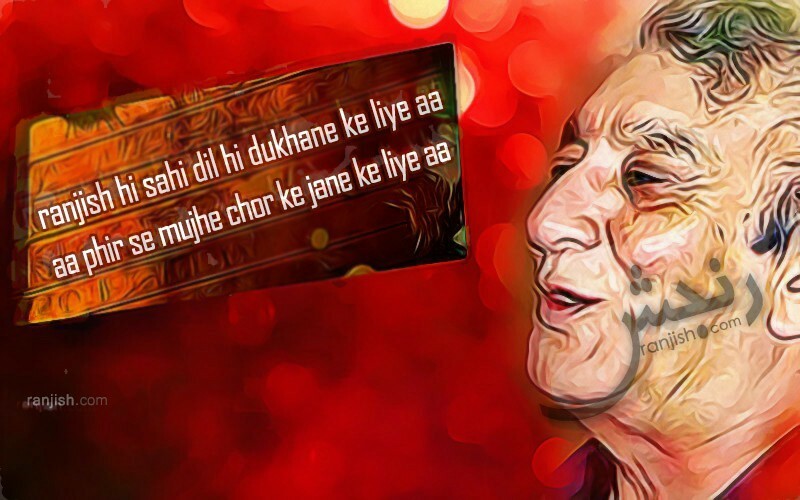 Koi hamari tarah umar bhar safar main raha..
Hui hai shaam to ankhon main bass geya phir tu..
We update our poetry database on daily basis so keep coming back for more Ahmad Faraz.